According to the study, ‘Pharmaceuticals Global Industry Almanac 2013-2022’, big pharmaceutical companies have made great progress recently with assistance from regulatory institutions. This progress is evident by the fact that the revenues of the worldwide pharmaceutical market crossed a trillion U.S. dollars in 2014 and have been on the rise ever since. North America is responsible for the largest portion of these revenues however, as in many other industries the Chinese pharmaceutical sector has shown the highest growth rates over recent years. The pharmaceutical market is an enormous sector that is constantly evolving. This sector has immense contributions in some of the most advanced medical studies known to people. Parts of the demand for medication are met by OTC drugs. OTC drugs are medicines sold directly to consumers without the presence of a valid prescription from a healthcare professional. OTC drugs cure minor ailments like headaches, sprains and joint and muscle problems just to name a few. 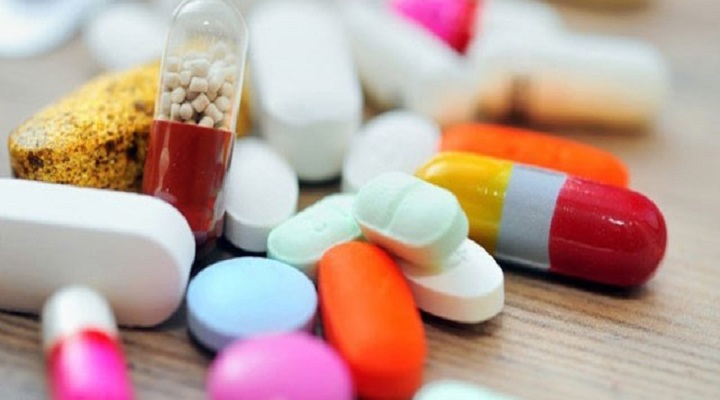 The switch to OTC medication by pharmaceutical companies is expanding owing to factors like lack of regulations or lack of enforcement of regulations in developing nations and the increasing demand for self medication. Asia-Pacific is expected to dominate the market due to keen players that promote self medication. After Asia-Pacific, Europe is another lucrative region in the global OTC drug market with a huge and widespread demand. European nations such as France and Germany rank among the top five market places in the world. Also, German Bayer and French Sanofi rank among the best vendors in the global OTC drug market. China is predicted to evolve into one of the largest OTC drug markets by 2021. OTC drugs are completely opposite to ethical drugs and so are generic medicines. A generic drug is a medication created to be the same as an already marketed brand-name drug in dosage form, safety, strength, quality and intended use. These similarities mean that a generic medicine works in the same way and provides the same clinical benefit as its branded version. The most important advantage of generic drugs is that they are cheaper compared to their branded version as they are not required to pay for advertising, marketing and promotion. According to reports, the global generic drug market’s worth in 2021, is expected to be nearly double that of 2015. Asia-Pacific is expected to show noticeable growth in coming years with India and China being leaders in the generic drug market. New drugs like other new products are protected by patents that prohibit others from making and marketing copies of the same drug. The patent protects the company’s investment in the drug’s development by giving the company the sole right to sell the drug while the patent is in effect. The market for generic drugs is being accelerated by patent expirations. The year 2018 is scheduled to see a number of patent expirations. These include Rituxan by Roche for tackling blood cancers and rheumatoid arthritis. The drug is among Roche’s top selling products and already faces some competition from biosimilars in Europe. The situation is expected to get worse for the drug as companies like Mylan and Amgen have biosimilars in the works and Sandoz and Teva have already reported their respective submissions for biosimilars to the FDA for review. The global drug industry is rapidly growing which is evident by progress in OTC drugs and generic medicine. North America appears as the absolute leader in all healthcare sectors but faces potentially strong competition from China. France and Germany represent Europe’s potential in the pharmaceutical market especially in the OTC sector.